Dedicated to giving back to the community and to cultivating the next generation of continuous power experts, shentongroup supports the Career Advantage Program (CAP). The CAP program helps students in local schools by providing them with hands-on experience in real-life working environments. As well as providing work experience, shentongroup also helps to fund students’ extended learning courses. 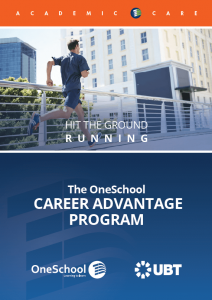 The Career Advantage Program (CAP) is all about helping students to gain the skills and aptitude they need to achieve rapid success in their post-school careers. It focusses on three key points: 1: Providing a selection of professional training courses; 2: Analysing the capability of each student professionally and 3: Offering real-life experience through regular work placement within business. As examples of shentongroup’s involvement in CAP, in recent years we have enrolled three CAP students. The most recent was during 2017 whereby the student gained project management experience through a two-year placement with us. This involved the student helping shentongroup CHP engineers and assisting with the build of our generator test cell, right here at Shenton House. He worked alongside our Generator team, playing a role in installation work at Porton Down for generator rental sets which involved pulling cables, positioning cables and connecting fuel lines. In addition, the student also completed supporting office work experience, compiling technical data sheets, as well as gaining a project management qualification. To qualify, the student had to agree to undertake 100 hours per-year of work placement experience to gain his CAP qualification. His CAP experience spanned a 2-4 week period over 2 years. Another example of shentongroup’s involvement in offering work experience was with a local young person from Harroway school. The student was welcomed into the shentongroup fold to complete one week of work experience. During his time here he assisted in the removal and installation of canopies, fault re-setting and electrics for CHP, and Pre Delivery Inspections on CHP systems and Generators. The student also helped to represent shentongroup at UK AD & World Biogas Summit at Birmingham’s NEC where he liaised with clients and participated in the set-up and break-down of the exhibition. If you’d like to learn more about how shentongroup helps students gain work experience in their transition into the working world, then please click here.